Here's another pretty hat with a simple story: my friend Nikki was struggling to find a nice slouch hat here in Switzerland. Meanwhile, I had just bought some lovely yarns at my local store knowing that they would be *perfect* for something. 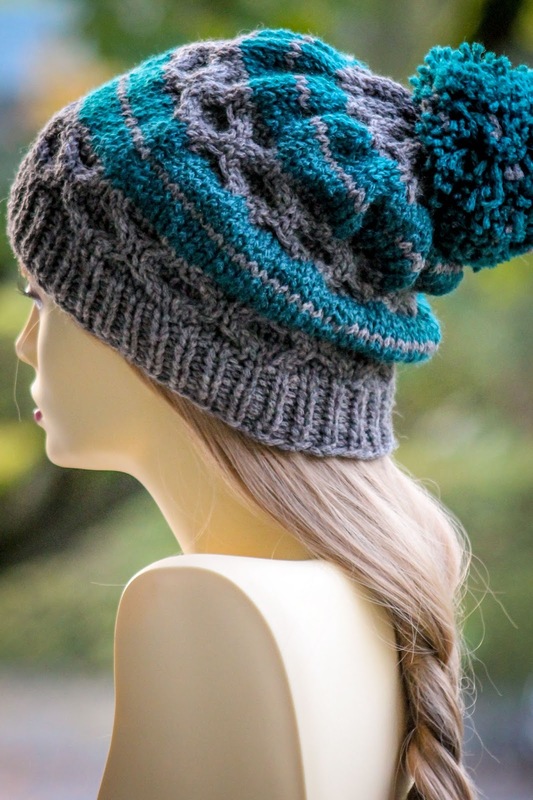 And what do you know, a few conversations and copious swatching later, Nikki's Slouch Hat was born! With a combination of cabled panels (for squish) and simple striping (for ease), this hat has texture and charm galore!!! Knit this ribbing row until ribbing measures roughly 2" (2.5"-3"), and then transfer work to your size US 11 circular needle. Then, we'll work the following transition row. Notice the row is different for the two different sizes. 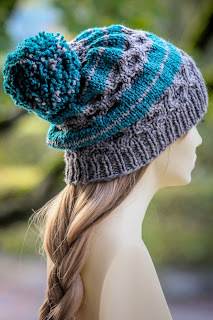 I *love* this hat! I have a weirdly shaped head--well, not that weird, I just don't look good in most hats, but slouches and pompoms look pretty good, and the cables are just gorgeous! This is going on my queue. Yay! I struggled for quite some time figuring out the best way to give it texture before I stumbled across the cable revelation... Glad to hear my efforts are appreciated! :) And please, whenever you work it up let me know if you have any questions!!! Thanks you; so much for all the lovely patterns you post for us to try out. 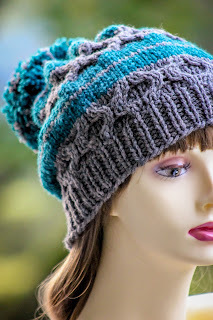 Have you ever considered including the degree of difficulty for your patterns...beginner, intermediate and ect... It sure would be helpful..also the weight of yarn used for a project. Hi Jane! I do include the yarn weight; you can find that in the tags at the bottom of the post. I have also considered the skill level idea although what I've seen seems fairly subjective... Perhaps I'll figure out a system I like someday and implement it! If you're just using one color then you can simply ignore color change instructions but follow the pattern otherwise. :) And I would say that the cutoff between the two sizes is probably around 23" or 23.5" around - if you're smaller, make the smaller size, bigger make the bigger and if you're right in that size range then you simply have to decide if you want the hat to fit snugly or loosely and go from there! 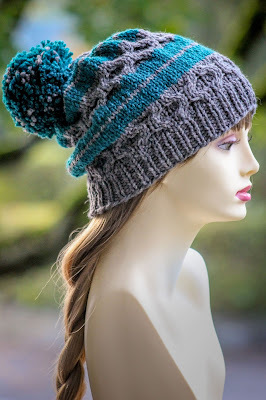 Hello -- love the design of this hat. 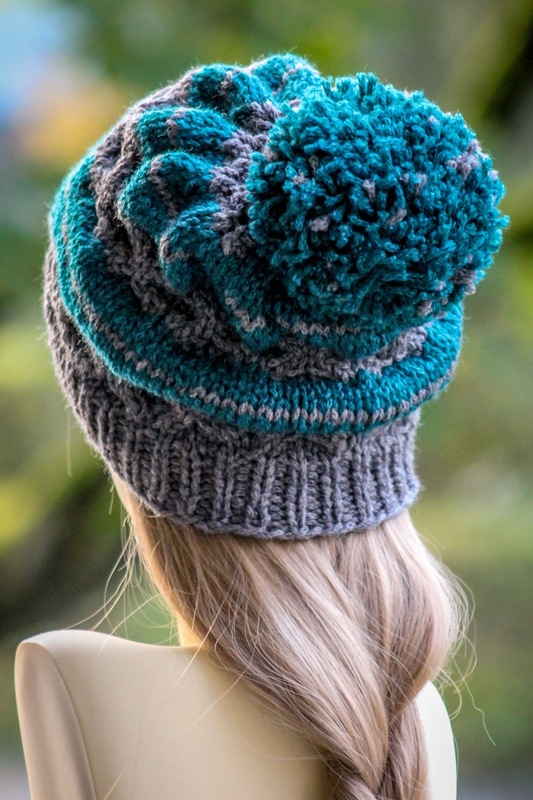 Does the amount of yarn quoted as being needed include the pompom? 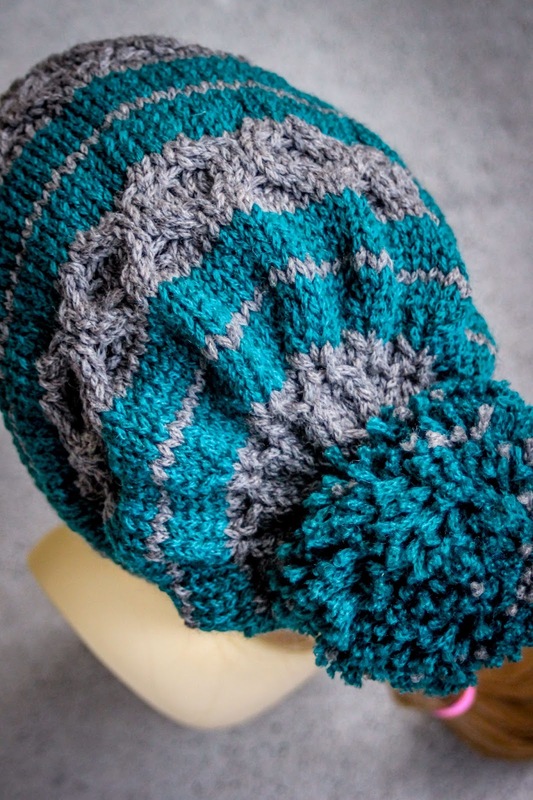 I have approx 200m of chunky yarn that I would like to use for this to make size m/l and I am wondering if this is going to be enough (without the pompom). Thank you! I am going to give it a try! 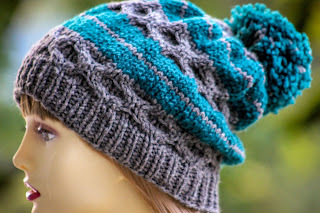 Hello - love the design of this hat! I was wondering if the yardage requirements include the pompom. I have approx 200m of chunky yarn that I would like to use to make this and I am wondering if it is going to be enough to make size m/l without the pompom. Hey Gretchen, what size is your gauge knit on? You have US size 4, maybe it's 11? I think I will add this one to my growing collection of your hats that I am knitting!